Earn $8.28 in Rewards credit (828 points) What's This? 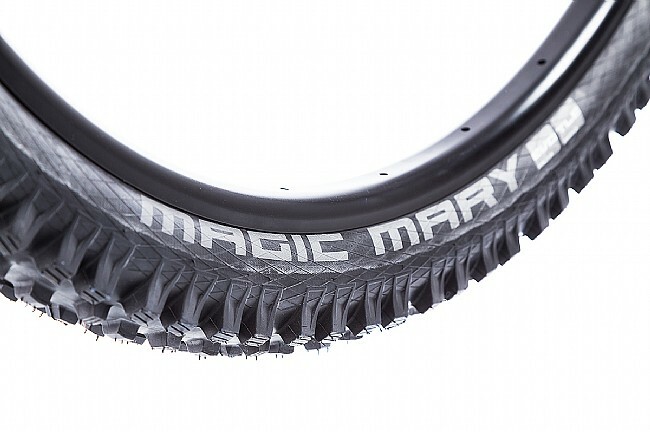 A favorite among gravity-oriented riders of all levels, Schwalbe's Magic Mary ADDIX 29" tire is lighter than the standard downhill tire, yet more efficient and more reliable. Featuring Schwalbe's SnakeSkin technology, the tire is protected bead-to-bead from slashing, punctures, and other unforeseen causes of flats for a reliable tire that is always there for you, no matter how hard you're railing the trail. Making things easy, Schwalbe's Tubeless Easy technology easily installs, removes, or seals on tubeless-ready wheels. The intermediate tread digs in for the maximum in braking control and cornering grip, even in the mud, thanks to the robust, open blocky design. And with Schwalbe's ADDIX Speedgrip, the tire rolls smoothly and easily, giving it impressively good rolling characteristics. 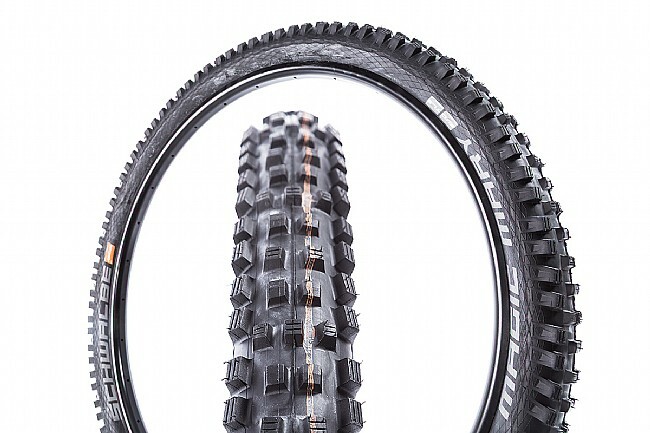 The Schwalbe Magic Mary ADDIX 29" Mtb Tire is available in one width: 29" x 2.35". Also available for 27.5" wheels. Gravity-oriented tire is suited for Downhill or Enduro. ADDIX Speedgrip provides optimal grip and rolling characteristics. SnakeSkin protection fights wear and tear. Intermediate tread pattern grips in all terrains.